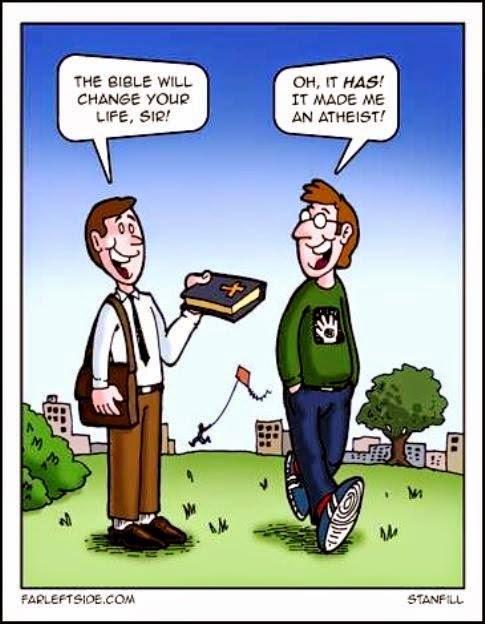 Funny cartoon - the Bible will change your life, sir! Oh, it has! It made me an atheist!